There is a serious strategy to what you bring with you on these kind of shopping trips. Outfit: the best things to thrift in are comfy, slip on shoes, leggings, some kind of tank, and another layer if needed. Because some shops don’t have fitting rooms, you can throw things on over your leggings and tank top. You don’t want to wear your Sunday best (things can get dusty), and you want to be comfortable. 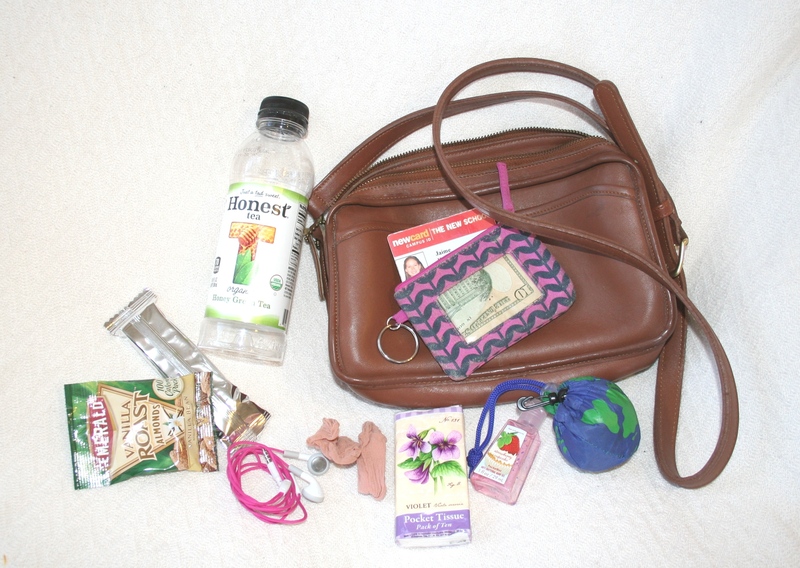 Cross body purse: for hands free shopping. There’s nothing more annoying that carrying a giant, heavy purse (my default bag is basically giving me back problems) when you’re flipping through the racks. Cash: many stores don’t take credit cards, so bring cash. This is helpful when setting a budget for yourself as well- only bring as much as you want to spend. Sometimes the deals can be intoxicating and you’re prone to overspending. A $5 Brooks Brothers top is only a good deal if you actually wear it. Tissues: sometimes these stores can get dusty. Also handy for seeing if a stain will come out (see below). Antibacterial hand gel: this is KEY. If any stores feel skeevy, this is always nice to have. However, this has a much more important function: helping determine if an ink stain will come out. People often donate clothing if it has a small defect like a hole/tear (great if you have even the most basic sewing skills) or a stain. If you see something that’s otherwise great but has an ink stain, rubbing alcohol-based things will remove most inks. Dab some antibacterial gel on a tissue, press it onto a small part of the ink stain for a few seconds. If the ink lifts off onto the tissue, you’ll be able to get it out in the same manner. Tide to go pen: same as the antibacterial hand gel- you can determine if a stain is likely to come out by putting some of the stain stick on a small part of a stain and dabbing it with a tissue to see if any of it lifts. A drink and snacks: this kind of shopping is a marathon, not a sprint. Easy to eat snacks like granola bars and almonds are perfect. There’s nothing worse than getting hangry in the middle of the hunt. Earbuds: sometimes I like chatting with other shoppers (they can be great resources for info about sales, others places to shop, and they’ll sometimes share great finds they’ve decided not to buy), but other times, I just want to zone out. Podcasts or an upbeat playlist can keep you company while you sift. 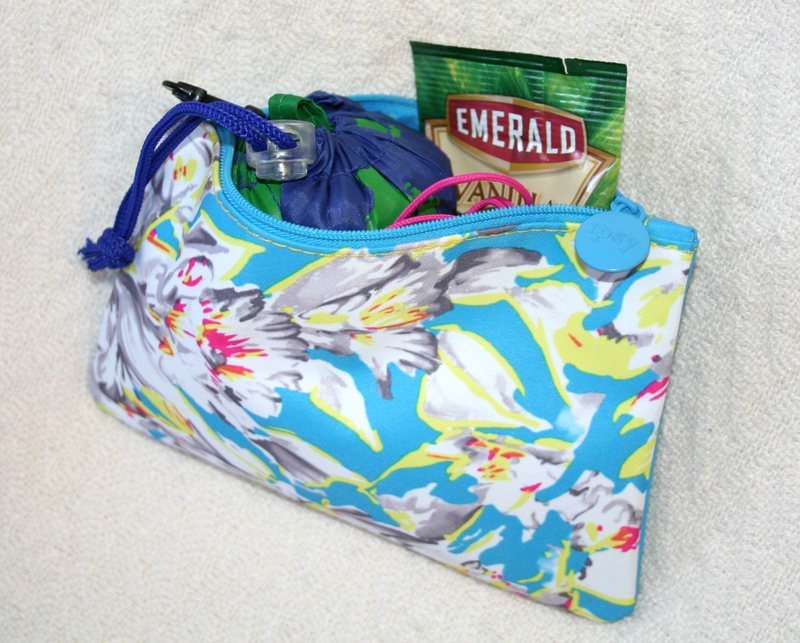 Reusable shopping bag: I love these foldable ones that tuck right into your purse. Measurements: if you’re keeping your eye out for home décor or furniture, write down the measurements of your space. You won’t remember it off the top of your head, trust me. I actually keep a little zippered case with my “supplies” ready to throw into my bag if I decided to go shopping. 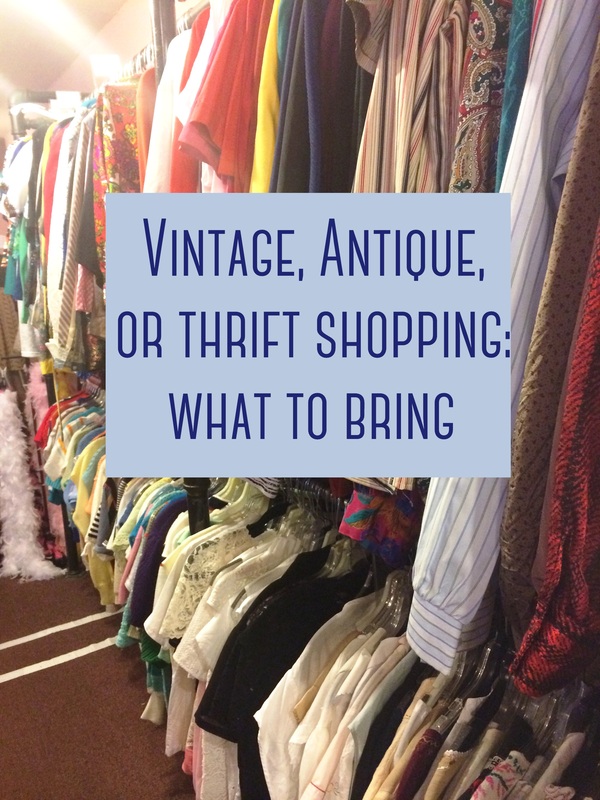 Do you have any strategies for what to bring while bargain hunting?